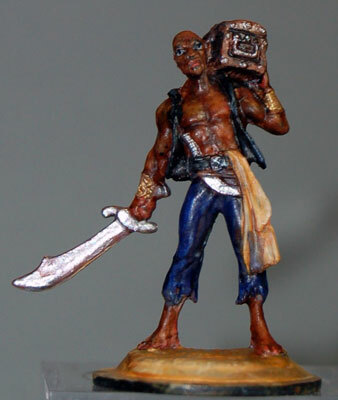 I quick-painted the five Bones pirates, and this is the fourth. 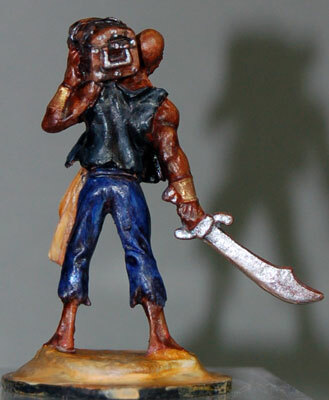 I hated his little moustache, so I ignored it when I painted the figure. Yes, a tiny little thin dangly one. 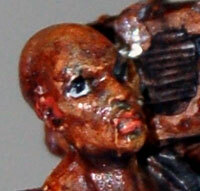 You can sort of see it on the closeup of the face. I think he's supposed to look sort of Middle Eastern. I just chose to go in a different direction. Very neat. It really shows the detail in the figure. you are correct ... i just checked mine under the magnifier (with my bifocals on) and he indeed does have a mustache!